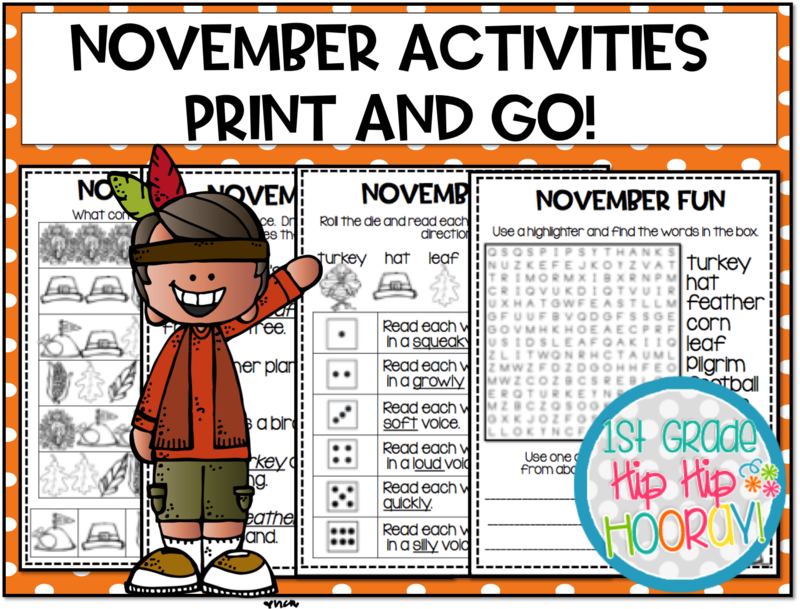 1st Grade Hip Hip Hooray! 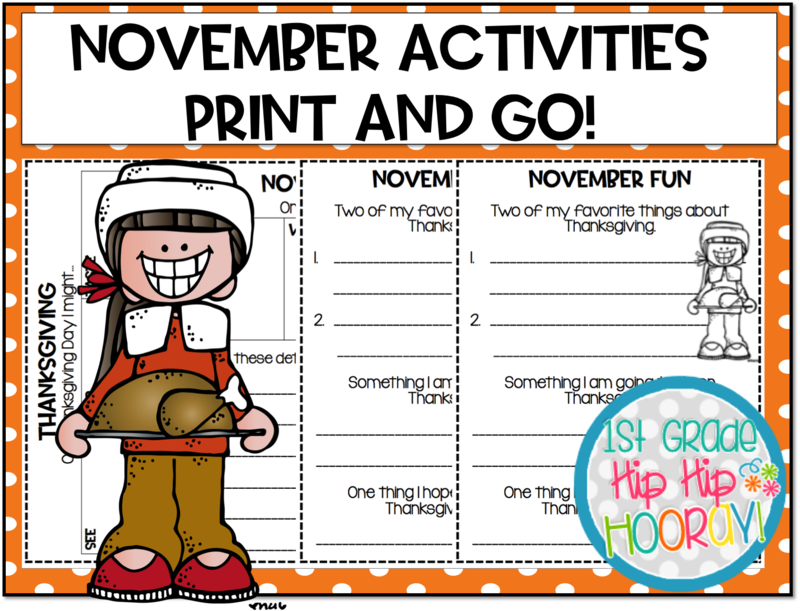 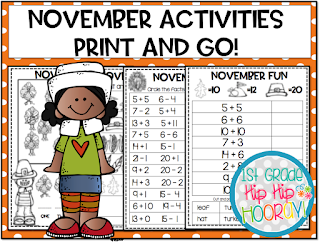 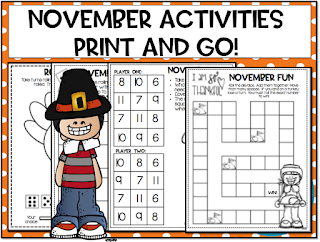 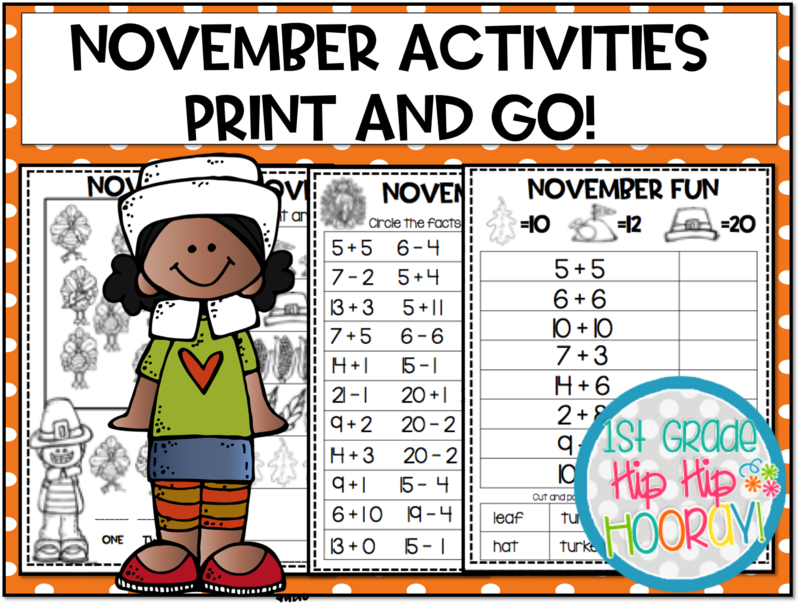 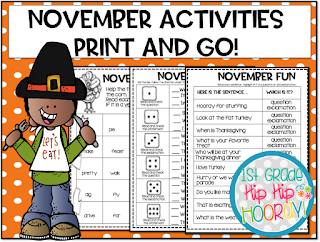 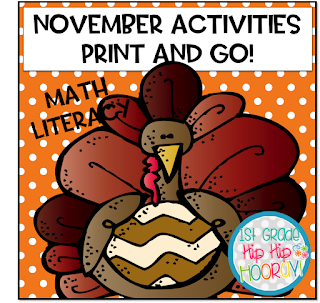 : November Math and Literacy Activities...Print and Go! 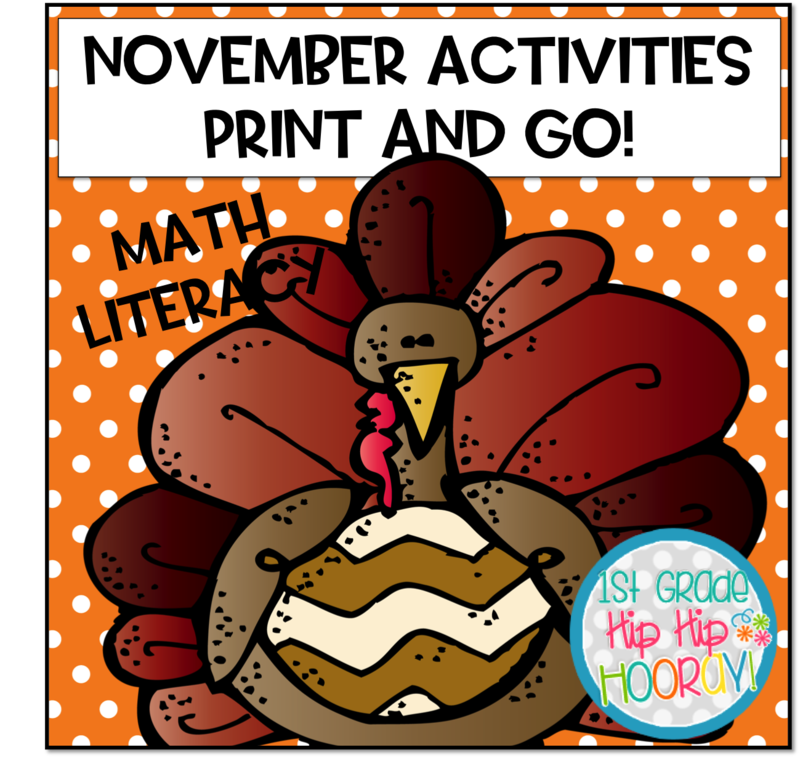 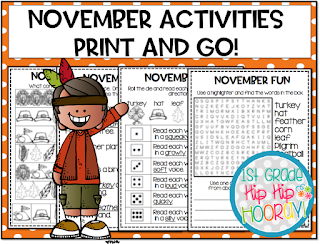 November Math and Literacy Activities...Print and Go! 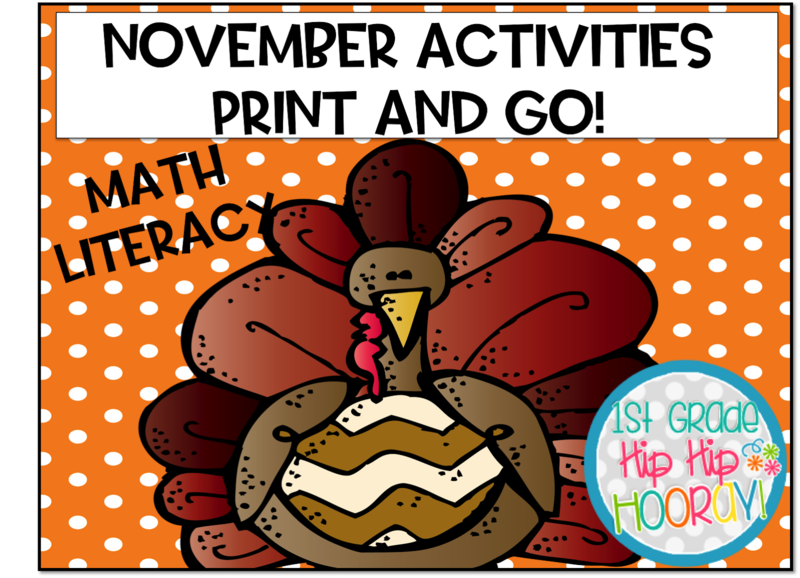 LOVE these monthly activities for literacy and math. 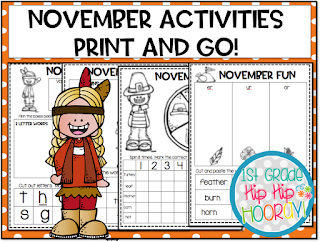 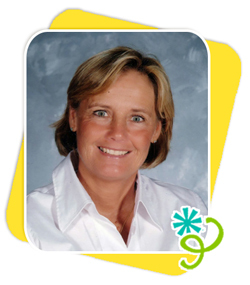 There are games and partner activities ideal for centers, morning work, "I am finished now what?" 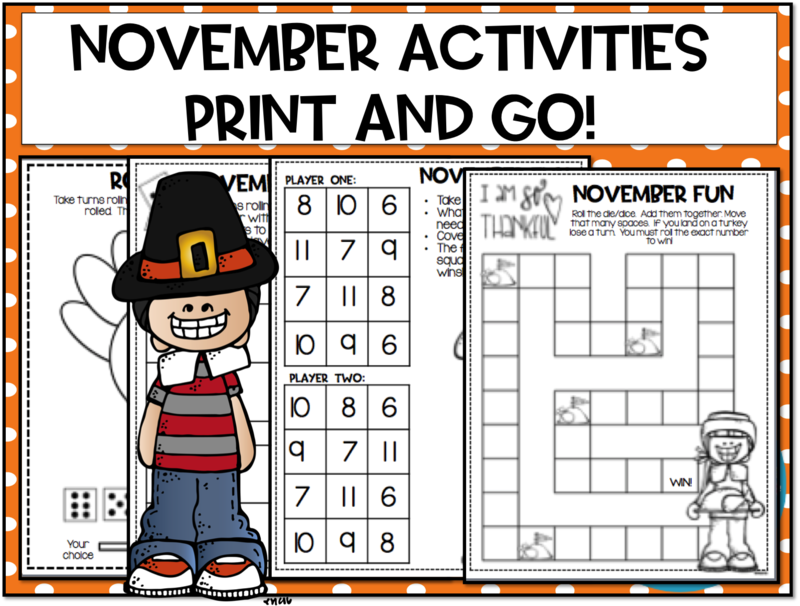 and indoor recess. 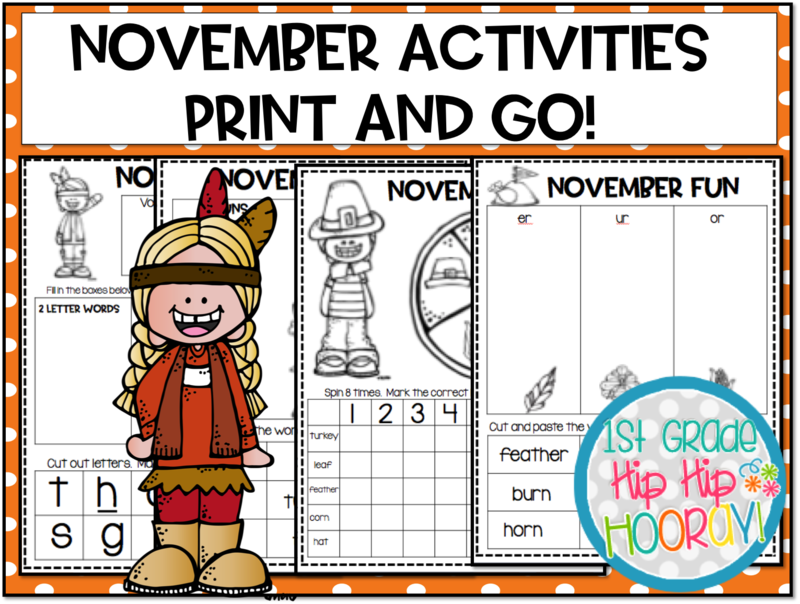 The November themed clip art brightens each page. 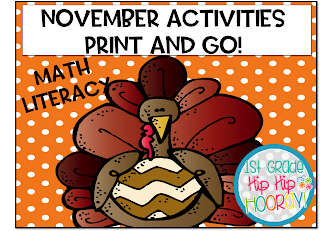 You'll need dice, pencils, crayons and students eager to participate!! 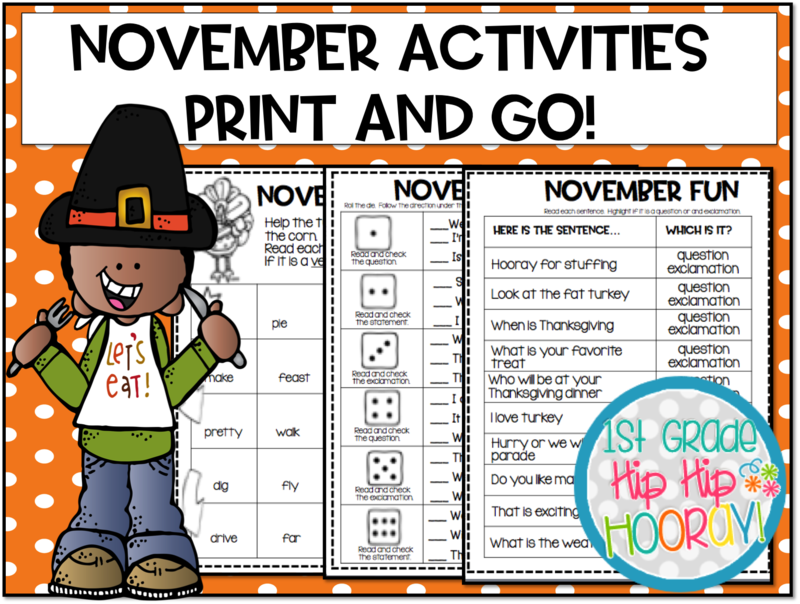 A Peek at October Treats!